Black Friday 2018 sales have officially begun, and there are so many sweet deals out there right now that it can be difficult to know where to start. Don’t worry though, because that’s why we’re here. We’ll be showing you all the best bargains out there on Thanksgiving Day, Black Friday, and all throughout Cyber Week, making sure that you don’t miss any of the action during the biggest sales event of the year. As for where to start, we’ve got just the thing. 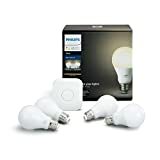 Philips Hue’s excellent smart lighting products are best sellers every single year on Black Friday for a simple reason: they’re the best smart lights in the world but they’re expensive, so people take advantage of every opportunity to get them on sale. 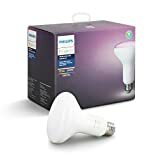 Black Friday deals always provide the best prices on Philips Hue lights, and Black Friday 2018 is no different. 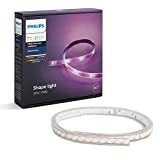 Amazon’s current Black Friday prices are good from today through the end of the day on November 28th, and they match all-time lows on popular options like the Philips Hue LightStrip Plus, Philips Hue A19 color bulbs, 4-packs of Philips Hue White bulbs, and plenty more. 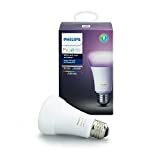 Check out all the Black Friday discounts below.